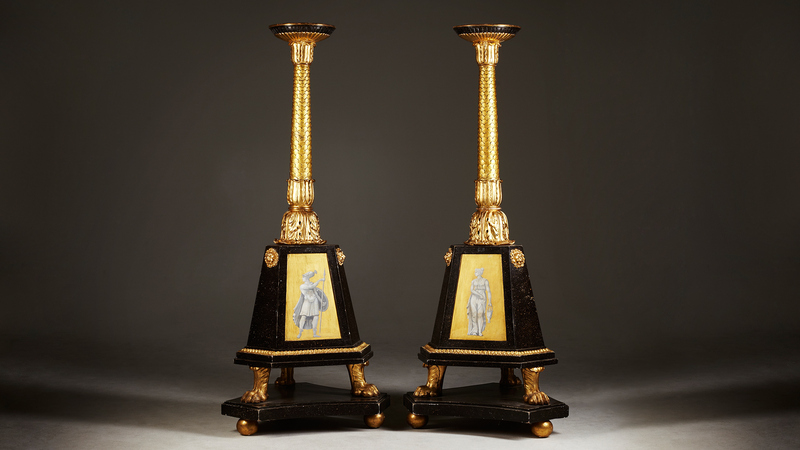 A fine pair of Gustavian Torchéres in gilt-wood and simulated Porphyry. Each with a gadrooned circular top above a leaf carved steam on a triform base. 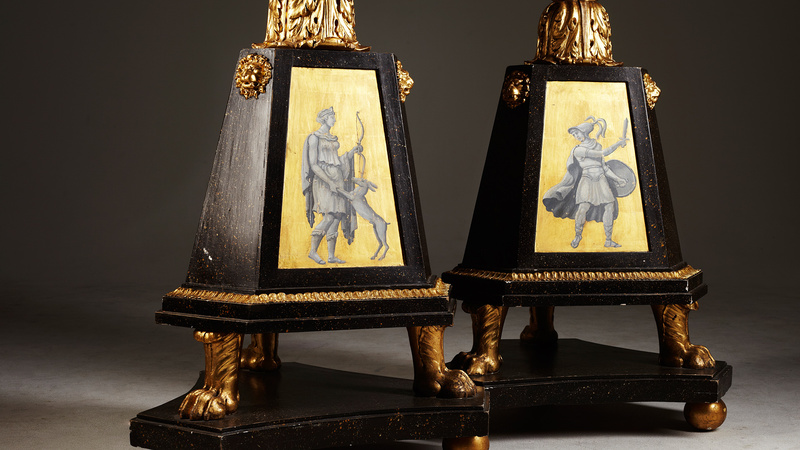 Carved with lion masks and painted with neo-classical figures. 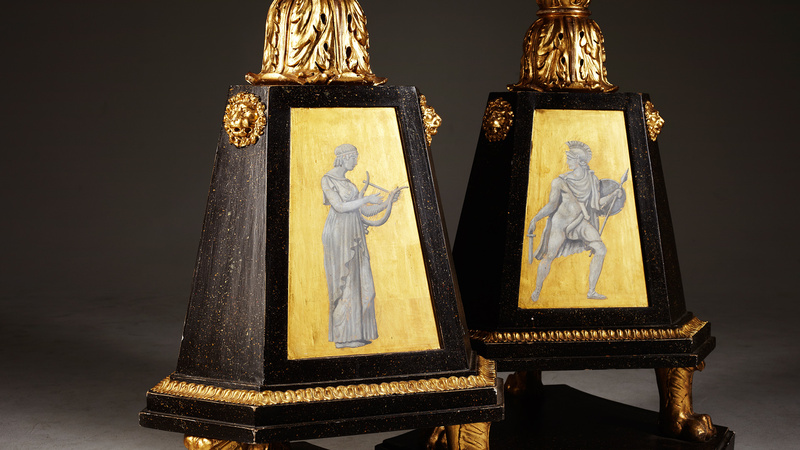 Torchéres ending with a triangular base on paw feet.